Officially organized on Friday 05 February 2016, the mission of UVARC is to promote the enjoyment of the amateur radio fellowship and hobby in the Utah Valley area. We also provide Utah Valley ham radio information for those within or visiting from outside our area. 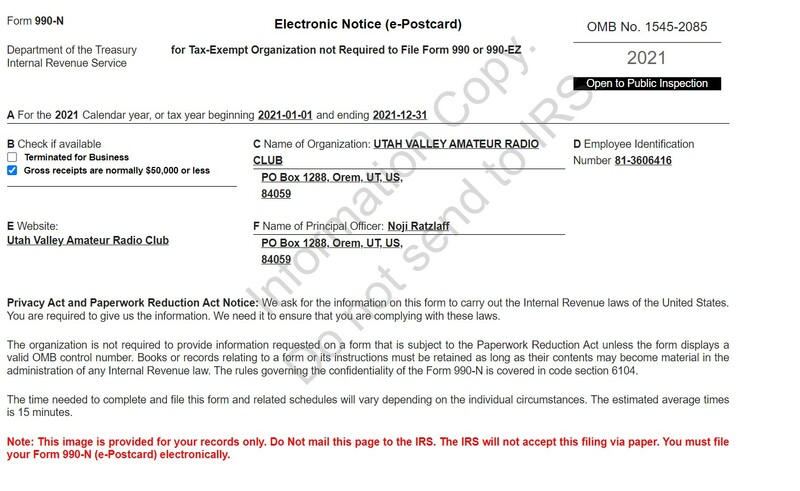 We’re a 501(c)(3) non-profit organization (EIN 81-3606416), a Utah Corporation, a 509(a)(2) Public Charity, an ARRL-affiliated club, and there is no cost to join UVARC at this time because club expenses are fairly low. But we do ask that you consider a small donation to help out with what costs we do incur.